First volunteered in 1985 and has since been on 38 programs including Fiji, Solomon Islands, Kiribati, PNG, Samoa, Philippines and Vietnam. Packed all of the surgical and anaesthetic equipment on 288 programs (until 2002) at her home in Mt Eliza and transported to the airport. Surgical Committee member from inception to 2013. Awarded Paul Harris Fellowship in 2001 by Rotary Club of Mt Eliza. Awarded an Australian Government commendation in 2002 for Volunteer of the Year. Catherine Gorr is a nurse whose first experience with Interplast involved sourcing donated supplies for first volunteer surgical teams when the Australian and New Zealand organisation was established in 1983. Shortly after this, Catherine was invited to join her first surgical program with Interplast America in Ecuador in 1984. This was Catherine’s first international humanitarian experience and it changed her life. “I didn’t realise the enormity of the work needed in developing countries,” she said. Her next program was in the Solomon Islands in 1985, with surgeon Dr Miki Pohl, who continues to volunteer with Interplast today. 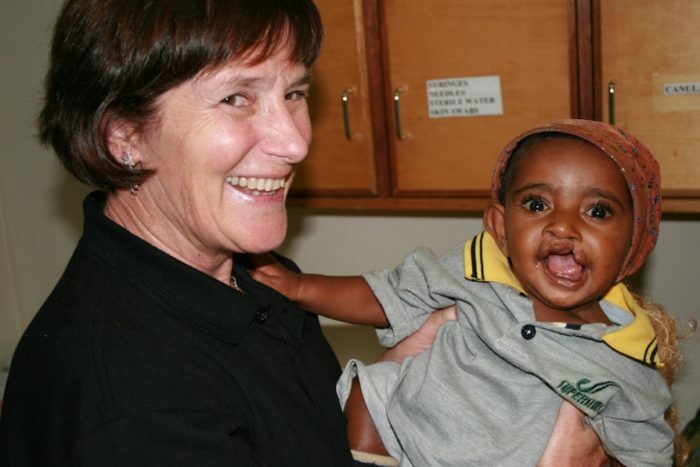 “We treated so many clefts and burns cases,” Catherine said. “I remember watching a mother feed her baby from her breast for the first time, and she was delighted. “She would express her milk and feed her baby with a spoon. It was the only way her baby could be fed before its cleft was surgically corrected,” Catherine said. Over the years, Catherine observed the organisation becoming more professional and financially secure. “In the early days, we managed to ensure patients didn’t go without while still providing a high standard of surgery safely,” Catherine said. In Australia, surgical staff have access to the latest technology and supplies. Catherine noted that in turn, this has helped drive the availability of supplies in the Asia Pacific countries in which the volunteers work. Catherine has continued to volunteer with Interplast for three decades, most recently in 2015 when she joined the Masbate volunteer team in the Philippines. “Surgery is my life,” Catherine said. Catherine is one of five outstanding people announced as Interplast honoured members for 2018. Each honoured member was chosen based on five consecutive years of exceptional service to the Interplast community. The latest honoured members were announced at the annual general meeting.